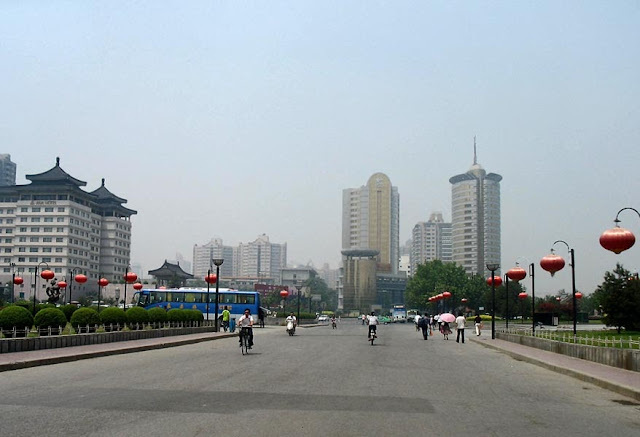 These are pictures of the city of Xian in China is not only a historical city, it is also famous for industry. 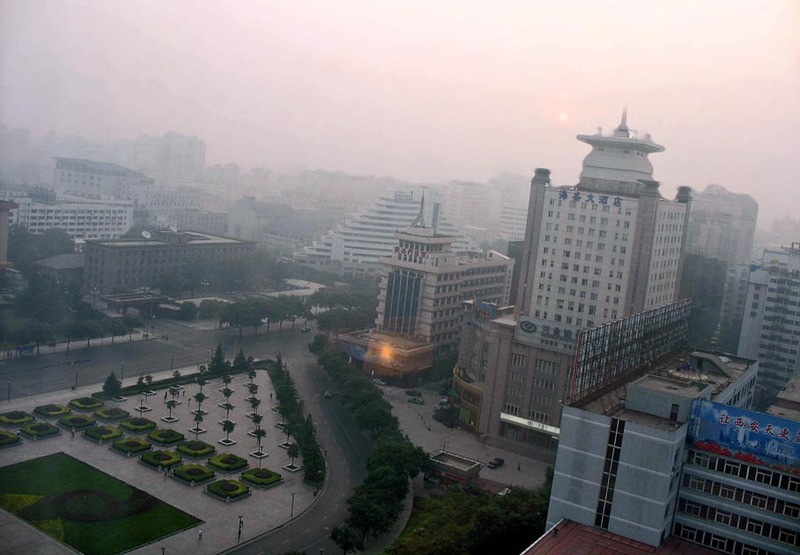 Industrial zones is one of the reasons for the increasing air pollution as can be seen in the photos. This picture is taken from an upper storey of a hotel and offer's a bird's eye view of a section of the city, the section which is the commercial district. Broad roads and swanky buildings. Cyclists have plenty of space to ride. 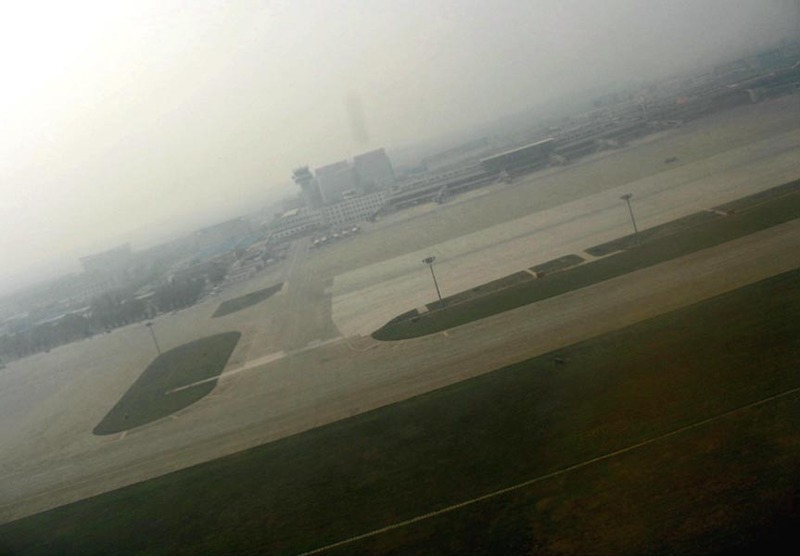 A photo taken while taking off from the airport at Xian. Fog or pollution? 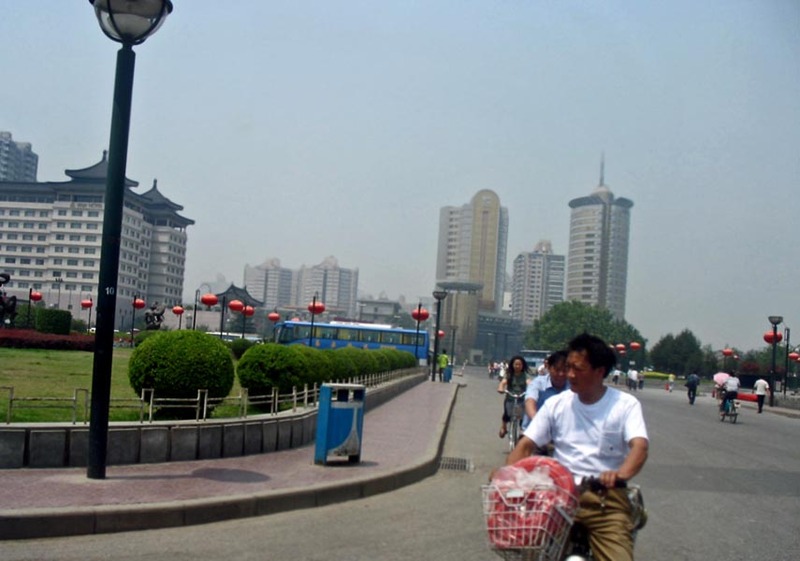 You might also like to see pictures of the Xian Dance Opera or photos of the streets of Beijing with people, traffic, cyclists, pavements and buildings or Hong Kong Skyscrapers or check out the label "China" for images of this country including that of important monuments, it's people, and tourist markets. Or take a look at other cities around the world. For example Kuala Lumpur in Malaysia or Florence and Rome in Europe or Goa in India or check out what other cities of the world look like at a glance.